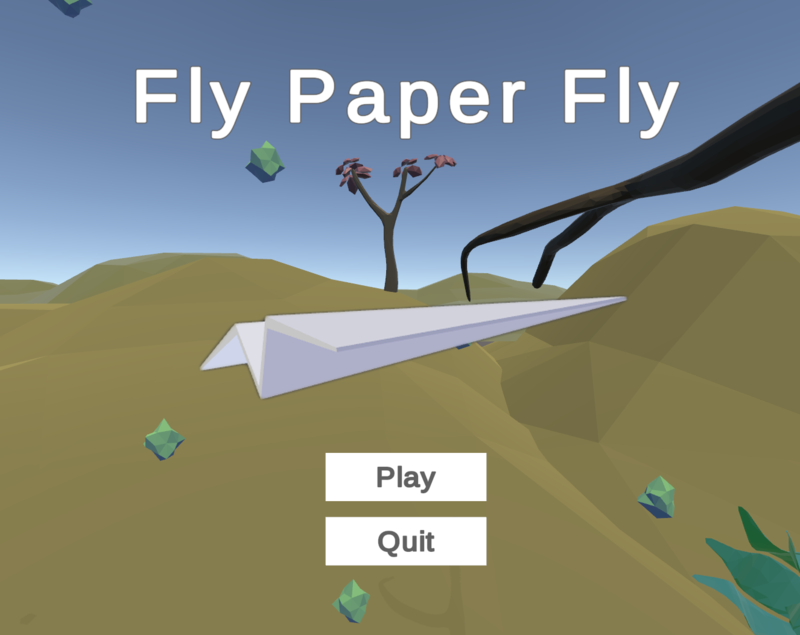 Fly paper fly, is a side scrolling fighter plane game inspired by old arcade and Dos games like Asteroids(1979) and Raptor: Call of the Shadows(1994). Here a paper plane has to traverse through a forest landscape, avoid and eliminate meteor-like seeds flying out of toxic flowers. The paper plane cannot be controlled or even shoot but the player must blow away the plane and the projectiles by using a pair of bellows. The trick is that in trying to blow the plane away from projectiles, one may also blow the projectiles on to the plane itself. Therefore strategy is needed to plan the ‘blows’ and protect the paper plane. Made for the GMTK Jam 2018 by Niku Games using Unity 3D and Blender. Note: In last minute changes a bug was introduced. When you die in game, clicking Play to restart the game is not working. Please quit the game and launch again to replay. Thanks.